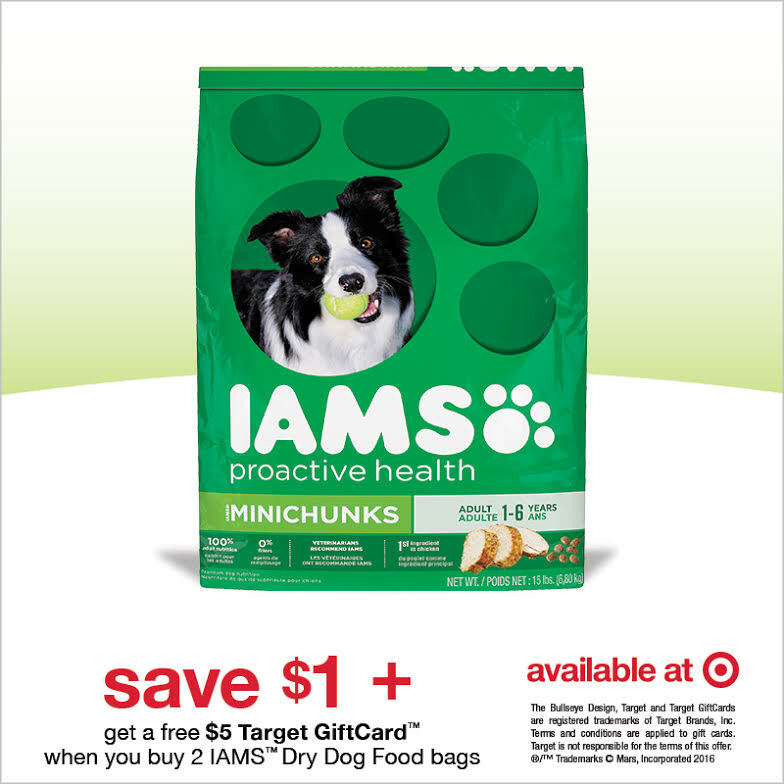 Save On Iams At Target! Free $5 Giftcard! Iams is great food, but it's not cheap. Thanks for sharing these savings! Great deal! Thanks for sharing this! Iams was our go-to when we had dogs. Could always count on the quality! I love when they combine coupon/gift card deals! The best! Great coupon and gift card deal! THanks! We love Iams food!! What a great deal, I love to save money any way possible. Plus it gives me a reason to take a trip to Target! So thankful for some savings on dog food, love Iams. They really are a great brand to have for pets! What a great coupon for the dog food! I know it really ads up over time. I am working on the dog so that I can use the coupon!!! Have to convince the parents! This is an awesome coupon! Great savings. We love our pets but let's face it, it's not cheap to have one. Great coupon! I always like a good bargain. IAMS is great dogwood. I need to stock up before school starts, and I've got no time for errands. A gift card would help with back to school supplies.